Informal cross-border trade is a notoriously difficult space to map. However, Sauti’s mobile technology, combined with gender-sensitive approaches gives us a survey capacity with unprecedented reach and scale in the informal cross-border environment. Additionally, our penetration in cross-border trade networks provides a powerful asset with which to implement USSD and SMS surveys and rapidly process results. With these methods we have contributed significant data-driven insights to academic and policy-oriented audiences. Interdisciplinary insights from expert practitioners working in the EAC to ground insights in practical contexts. Sauti’s Informal Cross-border Trade Database offers an expansive array of data points on key demographic, trade, and information demand attributes gathered from approximately 3418 cross-border traders across East Africa. Sauti compiles the incident reports submitted to the platform each month and presents the data in monthly infographics. These reports are examples that identify the percentage of positive and negative reports made to the platform; reports by agencies; and type of incident in an effort to highlight the issues faced by cross-border traders. 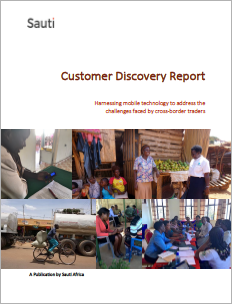 This Customer Discovery Report offers initial perspectives on the development of an SMS and USSD platform developed by Sauti Africa for use by any cross-border trader with a simple feature phone. By innovating a series of automated text-based interactions, Sauti has the potential to leverage the ubiquity of mobile phones in the EAC to enhance the delivery of trade information available to cross-border SMEs. The platform will enable small-scale traders to conveniently access trade and market information relating to clearing procedures, documentation, and taxes applicable to their products, cross-border commodity prices and exchange rates. Traders will also be able to use the platform to anonymously report incidents of bribery and harassment at borders. 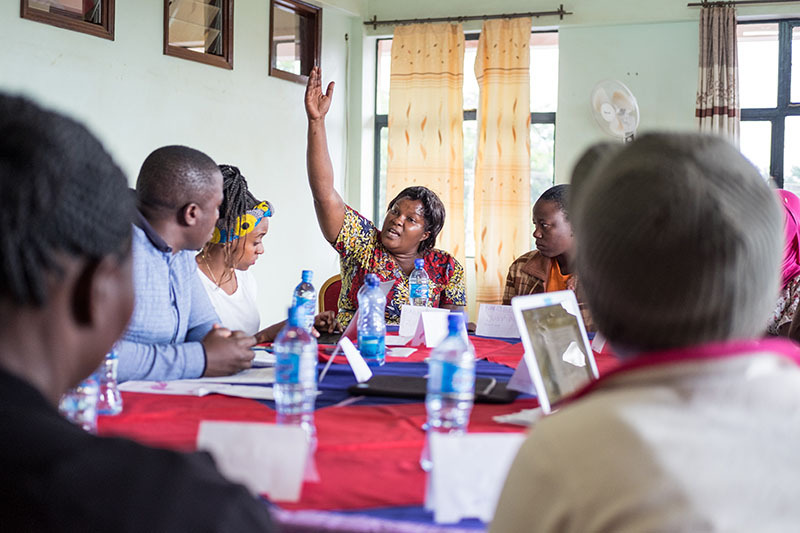 For women, small-scale cross-border trade has played an empowering role in the alleviation of poverty in East Africa. However, women crossborder traders face distinct constraints and challenges when trading across East Africa’s borders. 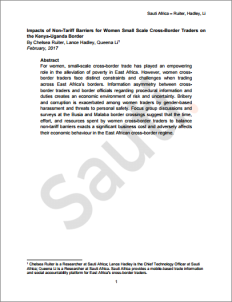 Information asymmetry between crossborder traders and border officials regarding procedural information and duties creates an economic environment of risk and uncertainty. Bribery and corruption is exacerbated among women traders by gender-based harassment and threats to personal safety. Focus group discussions and surveys at the Busia and Malaba border crossings suggest that the time, effort, and resources spent by women cross-border traders to balance non-tariff barriers exacts a significant business cost and adversely affects their economic behaviour in the East African cross-border regime.